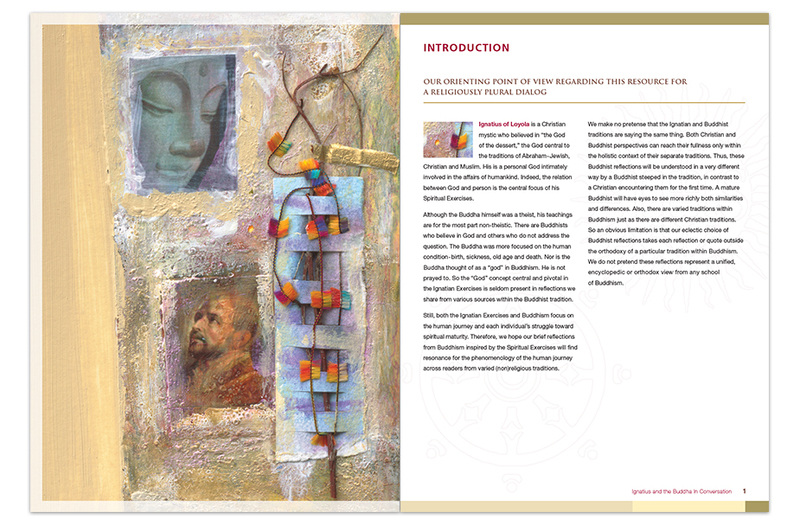 Santa Clara University Ignatius and the Buddha | FineLine Graphics & Design, Inc. 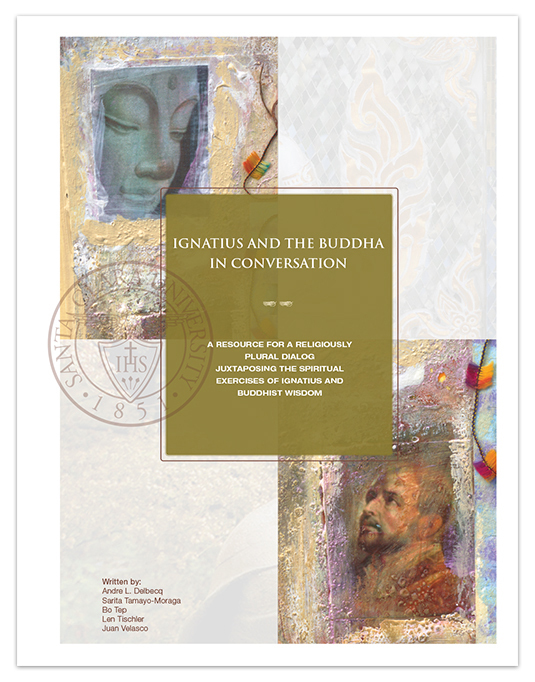 The Ignatius and the Buddha in Conversation book was a collaborative effort to create a resource on juxtaposing the spiritual exercises of Ignatius and Buddhist wisdom with the main audience being Jesuits in a mediation retreat setting. 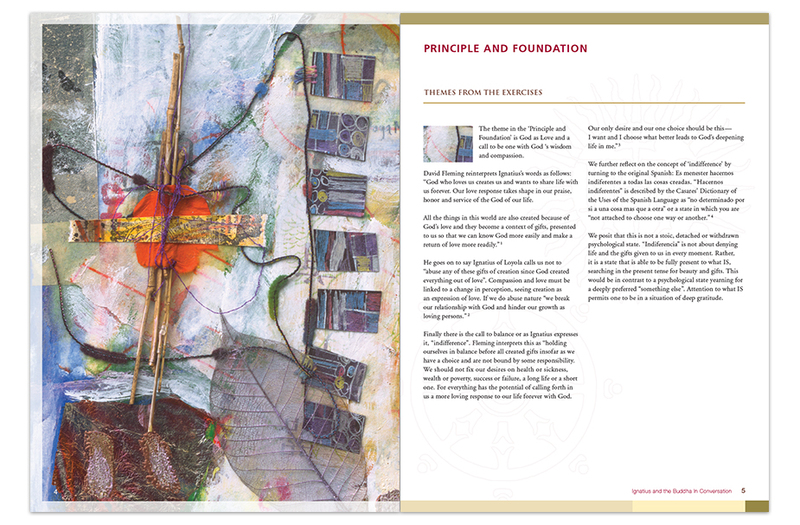 The artists work by Joni Goldsmith was a integral part of the message and used throughout the book to reinforce the meditations and writings. The Book was organized in a way that made it easy for the reader to go through four weeks of readings.